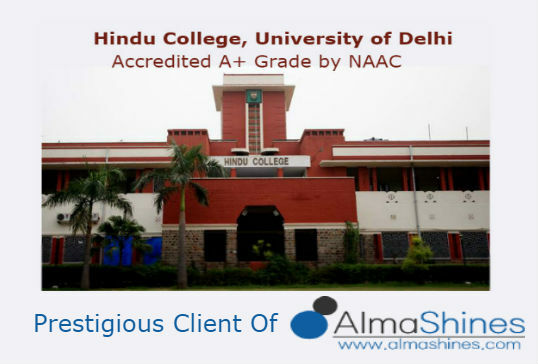 The NATIONAL ASSESSMENT AND ACCREDITATION COUNCIL (NAAC) is an autonomous body established by the University Grants Commission (UGC) of India to assess and accredit institutions of higher education in the country. 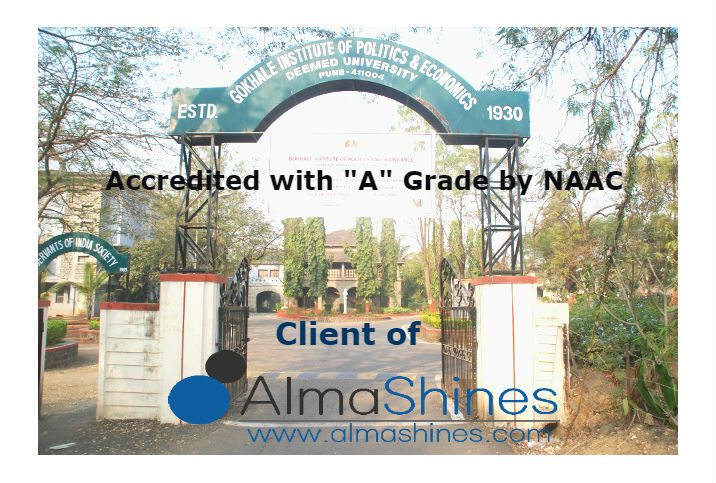 This institution does a periodic assessment and accreditation of Colleges and Universities in India. The evaluation is based on the teaching, learning, research, student support, curricular aspects, innovative aspects, infrastructure etc. in the higher colleges and universities. The accreditation process facilitates institutions to know its strengths, weaknesses, and opportunities through an informed review process. This process makes the institute aware about the infrastructural and technological facilities that need to be developed for fostering growth. Alumni directly and indirectly influence Key Aspects of these Criteria. We will look at each aspect briefly, understanding how the Alumni plays or can play an important role in the process. This consists of the Curriculum Design, Development, Planning and Enrichment. In many colleges, the NAAC recommends that the IQAC appointed Academic council which directly overlooks the above two aspects to have one Alumni of the institute as a member of the ten member council. The Alumni member can help suggest changes in the curriculum to make the current student population in tune with the current industry requirements. The Alumni can clearly express the relevance of the curriculum in the job scenario. The Alumni Feedback system forms the most important part of this aspect, as the alumni have now experienced how effective the college curriculum is to their market acceptability and compatibility. They now have a very clear understanding about which aspects of their curriculum should have been enhanced or curtailed, depending on what would have made them more adaptive and competitive in the industry. Under this Criterion, in the department evaluation of colleges, the self-study report requires the departments to enlist their notable Alumni, if any. Universities all over the world depend largely on the donations of their Alumni which includes funds for new Physical facilities, research projects, maintenance of current facilities, etc. However, the fundamental problem in India is that the Alumni after graduation do not feel connected in any way with his Alma-mater. Universities need to engage their alumni in a more responsible manner. The Alumni will donate to the college only if they feel a connection to the college. The college should spearhead development of online forums that facilitate communication between the Alumni, the current student population and the Alma mater. Under this Criteria, the NAAC committee evaluates the Research facilities, Research consultancy, resource mobilization and the collaborations of the institution. It is commonly seen that Institutions in which the Alumni are placed in or are associated with provide greater prospects for the current students in terms of internship opportunities. Alumni initiate the development of university-industry relations, becoming the central contact point as he/she has been a part of the former and is currently working with the latter. Thus a well-connected Alumni Network would directly reflect in the institutes list of academic and research collaborations. Entrepreneurial Alumni often give the current students population of their alma-mater opportunities to intern with their nascent ventures. Universities and colleges are required to furnish the details of the presence of the Alumni association of their college under the category of Student progression. 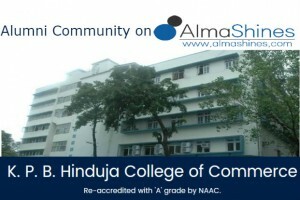 The list of Colleges that have an ‘A’ grade accreditation shows that most of these colleges have an established Alumni association, while most of the colleges with a grade ‘B’ accreditation do not have any Alumni association or forum. Also in the Self Study Report, under the student participation aspect is the question whether the college’s alumni are contributing towards the growth and development of the college and if yes then how they are doing so. Colleges are required to have a formal mechanism to track the progress of their Alumni. In the Self Study Report, the major concern is over the fact that the colleges do not track the progress of their students once they pass out. Many colleges have left the space for furnishing details of the number of students that have attempted exams like GRE, GATE, GMAT and CAT from their institute blank in their Self Study Report. This is mostly due to the fact that universities have not attempted to keep a track of their Alumni even after the first few years of their passing out. Furnishing such information would improve the institutes score under the Student Progression aspect. Clearly, if institutes aspire to become a NAAC grade ‘A’ college, they need to focus on their Alumni-relations. They need to view the Alumni as an important stakeholder in the growth of the institution. Universities need to maintain formal communication channels to keep the Alumni connected. Visit AlmaShines to connect your Alumni and get higher Accreditation.